A/Prof Bu Yeap is an endocrinologist based at Fiona Stanley Hospital and in the School of Medicine and Pharmacology of the University of Western Australia. 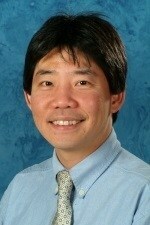 He is involved in research, clinical service, supervision of junior staff and endocrine advanced trainees, and teaching. He has a major research interest in the influence of testosterone on health during male ageing. He has over 100 peer reviewed publications and has been awarded over $6 million in research funding. He has been an international invited speaker on the topic of hormones and health outcomes in men, and he received the US Endocrine Society’s International Award for Publishing Excellence in 2013. In 2015 Prof Yeap received a Heart Foundation Research grant to examine whether testosterone and exercise training will improve the function of blood vessels and the heart more than either alone, in middle aged or older men who are overweight. These results will help inform us whether such treatments might reduce the risk of heart disease in men.